Only one more day until Friday! I've rounded up some things around the internet that I've been obsessing over this week. What are you loving right now? As if I don't currently own enough blue and white off the shoulder, I stumbled upon this dress and it's giving me all the heart eyes. I might need to buy it. I can't get enough. How adorable are these two tone sandals? I've been looking for something like this all spring and cannot wait to try these. How cute would the be with the dress above?! I had been eyeing this clutch for months, then it sold out but now it's back! The bright colors and pom pom detail are so cute for summer. I just got this and wore it last night for girls night. 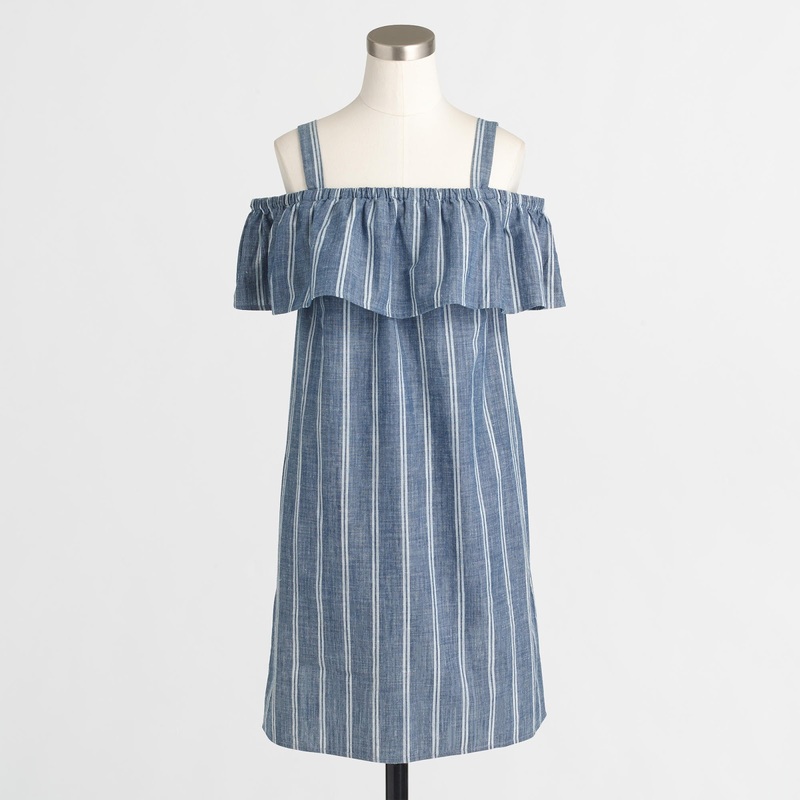 The top is not off the shoulder and it has a relaxed linen fit that can be dressed up or down. The yellow color is so much fun! Seriously the blue and white obsession is getting out of hand but it's all I'm drawn to this year. I don't know maybe it's having boys and so much blue that has made me love the combo on myself. How fun is this suit! I love white bathing suits, even though they're rarely practical, but the pattern on this one makes it even better. 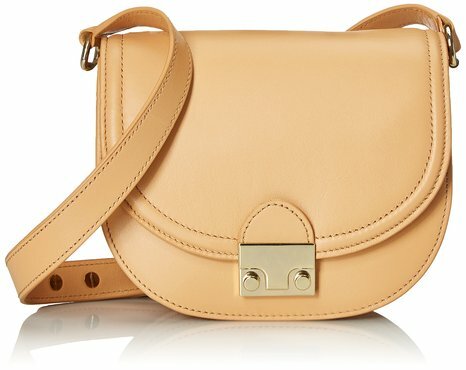 I'm still drooling over this bag this summer. I think it's been on my wishlist since Christmas but it just feels like it would be perfect for summer. I've been hunting for practical dresses I can wear with kids running errands and I think this one might be in. It's simple and flattering looking but long enough and with enough coverage that I could pick up a crying toddler off the grocery store floor and not flash everyone ;) I also love it in navy. This is another all the heart eyes top for me. It's so cute, comfy and flattering and can be worn with shorts and flip flops or dressed up with jeans and wedges. It's sold out in so many sizes but snag it if you can! 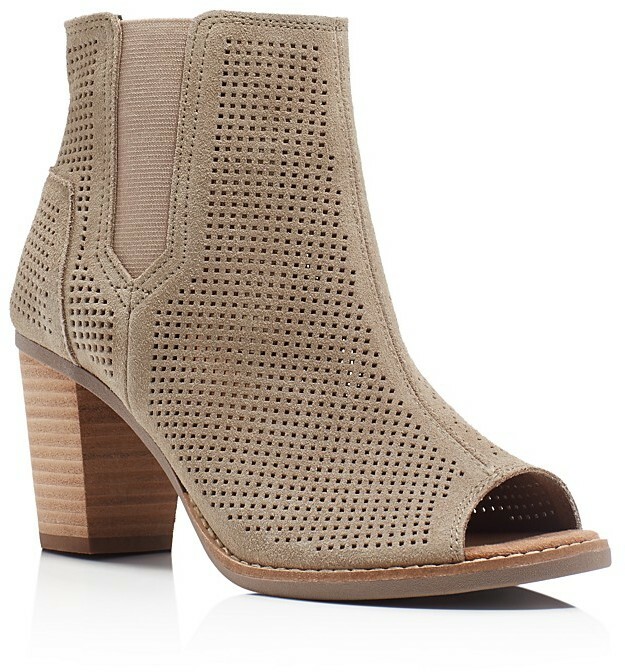 I saw someone wearing these booties with a sundress and now I want a pair! Everyone who has them loves them and the reviews are good too... might need to add these to the ever growing wishlist. Happy Thursday Friends! Remember to link up with me and Annie below. geez, Ill take one of everything please!! 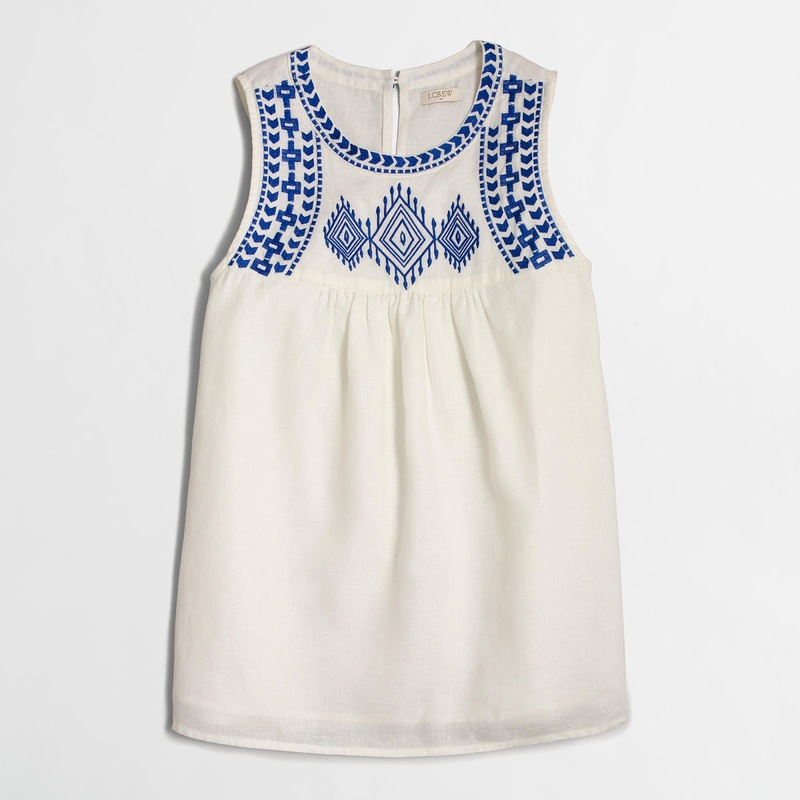 I have that white and blue embrodiered shirt from JCrew and love it. Now I want that Loft dress you just posted. I always forget to look at Loft myself and never think of it until I see someone post something cute from there! Dolce Vita sandals are my favorite too! 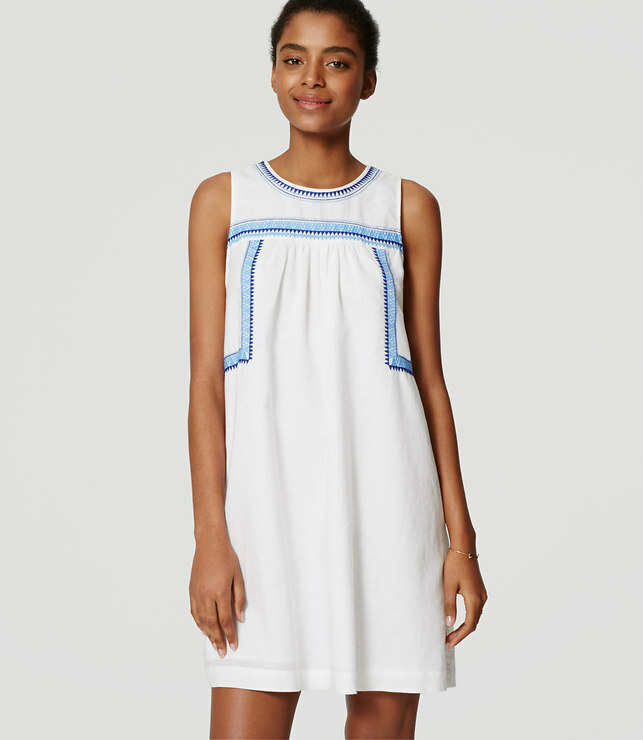 I love those J.Crew dresses and that pom pom clutch!! Great picks! Particularly loving those sandals and the white top with the blue stitching! Adorable! I bought that factory blouse in white and LOVE it! Love all of these picks. 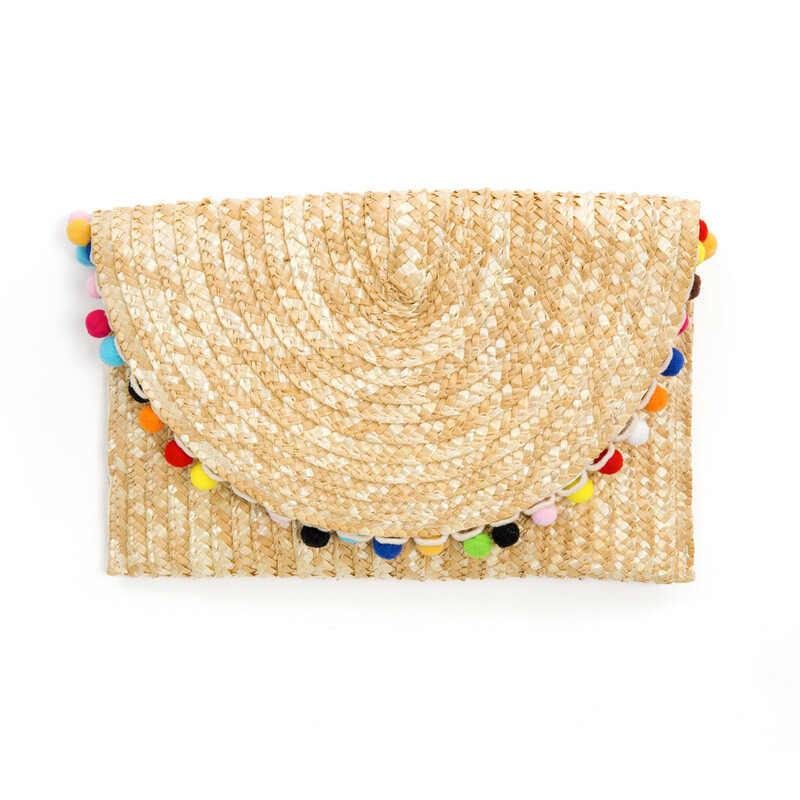 I especially love the pom pom clutch! Adorable! I tried on that JCrew embroidered blouse and I looked like I weights 200 lbs. Not so flattering on me. But I love it! I can't even with all of these cute pieces! I want that first dress so bad - I love it!! That first dress! I'm totally drooling. I've been on the shorts hunt - especially white denim shorts - but of course those look perfect. I love rag and bone, just hate the price tag! You're right though its worth it if they fit great. I just did some JCrew Factory damage and that top was one of them! 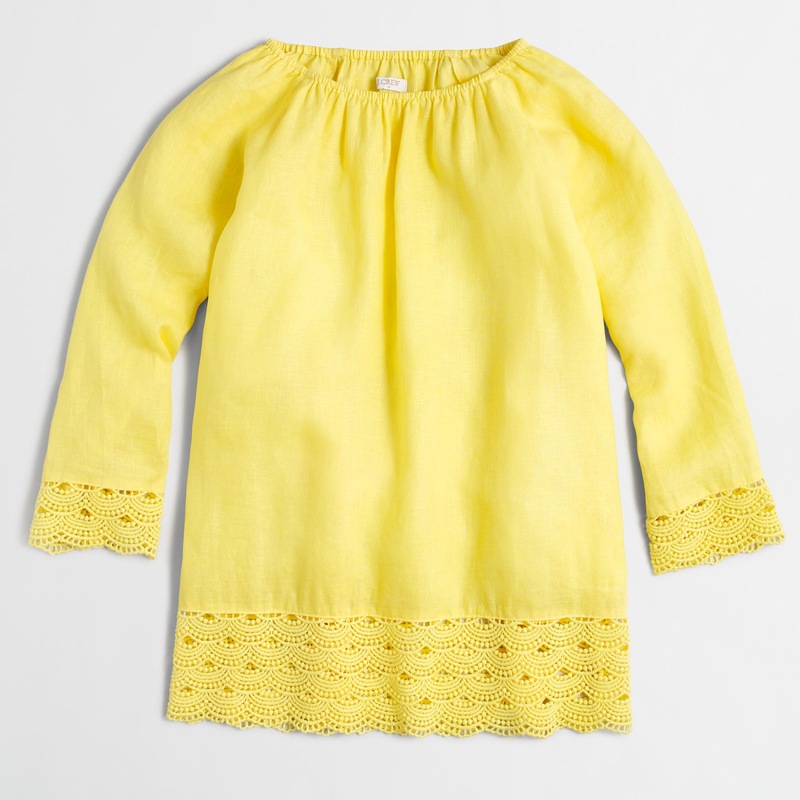 Totally obsessed with that yellow top from Jcrew!! Love the color and the details; I may have to try and hunt one down too! Hope you have a great weekend! Love the J.Crew dress and the Loafer Randal bag! Thank you for hosting the linkup!